Greetings from YFL!!! You earned a bonus week!!! We are split between the end of January and the beginning of February, so this week will be Sukha (Yin) and Stirha (Yang) week on the mat. We will blend this complimentary forces with power, flow, and restoration!!! Our Sanskrit focus is “PURUSA”, or the energy of the “Individual’s Spirit”. The mudra supports a healthy back, and thus, is called the “back hand gesture”. 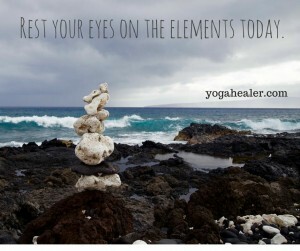 During meditation, it is suggested that you focus on “Maintaining your Energy Balance”. You may do so, while listening to David Lanz’s “Blue Largo”. Deb’s next “Intro to Yoga” 4-week session will begin on Tuesday, February 20th @ 7:30 p.m. This short course is great for “newbies”, or anyone that would like a refresher on alignment, breath techniques, basic asanas, terminology, and etiquette. The cost is $40, and registration is open through 2/17. Registration for the 2018 Artistry of Yoga 200-hour Teacher Training Program is open through 2/3/18. Click the AOY icon on our website, www.yogaforlife06.com for all the program details, and how to register. Your February YFL newsletter will be on your email desk at 10:00 a.m. this Thursday, February 1st!!! This entry was posted in Uncategorized on January 29, 2018 by Deb Potts.